Spring can be dramatically unpredictable in the northeast, with late season blizzards that may bring fresh snow followed immediately by record-breaking warm days. Accumulated snow may freeze and thaw several times during spring, and rains can be sporadic. 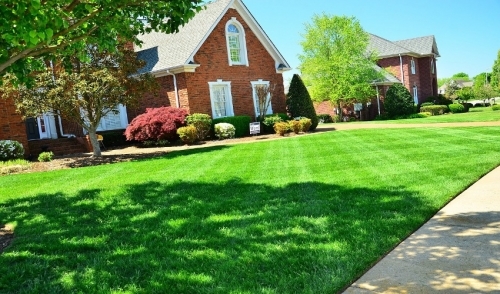 Fortunately, there are several ways homeowners can carefully work with northeastern springs to keep their lawn in peak condition no matter how crazy the season may be. 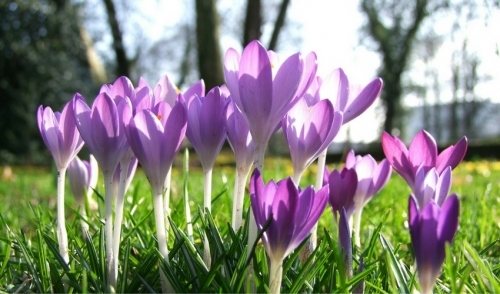 Because spring might arrive quickly and unexpectedly, it is important to have the lawn mower and other tools tuned up, sharpened, and ready for work early in the season. This will ensure the tools are ready to use right away, as soon as spring conditions demand mowing, edging, or trimming. In early spring, one part of the yard might be already coming alive while another is still buried under winter's snowdrifts. To more evenly balance the lawn's recovery and speed snow melting, gently rake or spread snow throughout the yard, trimming down drifts and putting more snow on drier patches so it melts evenly. When your lawn is still soggy from melting snow and spring rains, it is important to stay off it to minimize the risk of compacting the soil and damaging the turf. Raking is an essential spring chore not only to remove the last leaves that were not gathered up in fall, but also to rejuvenate grass and remove snow mold or upper layers of thatch so water can more easily penetrate the soil. Spring is not the best time to aerate lawns in the northeast, unless the lawn is in dire need of the assistance. Small patches could be aerated in spring if essential, otherwise it is best to note the need and schedule fall aeration instead. Two applications of herbicides to prevent crabgrass and other unwanted weeds are best in the northeast. The first should be applied in early April, and the second in mid-May. This dual application will more effectively protect a lawn even during an unpredictable spring when rains might dilute early herbicide applications. If your lawn has bare patches, it is best to overseed it in early to mid-spring so seeds can become established before summer's heat arrives. This can help thicken the lawn not only to make it more lush, but also so it will better resist weed infestations. Choose seed that best matches your lawn's existing turf and is formulated for your climate and soil type. If you plan to fertilize your lawn, the best time to do it is in mid-May after the last chance of late spring frost or freezing has passed. Use a balanced fertilizer for your lawn type and soil needs, and spread compost at the same time if desired. It is time to mow your lawn when the grass reaches 3-4 inches tall, but do not mow it any shorter than 2 inches in order to help it better retain moisture and resist weeds. Spring may be a crazy season in the northeast, but you don't need to go crazy with worry about your lawn if you know how best to care for it. With the right steps, your lawn can be strong, lush, and weed-free in spring.